Home and business owners, as well as government agencies, are enjoying a range of benefits derived from using this approach. 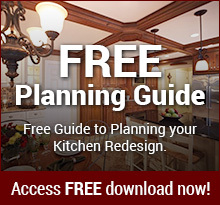 Remodelers and construction companies are seeing significant efficiencies incurred by coordinating this approach. Design-build or D/B is a project solution in which the project owner (individual, business, or government agency) contracts with a single entity to develop both the design and construction of any project. Traditionally, the process would involve a design phase, a bidding process, and finally a contract with another company to complete the project per design. This is the “design-bid-build” method. Why Does Design-Build Work Better? In most instances, the fewer number of people involved in a project reduces the potential for communications mishaps. In design-build construction and remodeling, the project and the design-builder are focused on the objective from the beginning to completion. When a designer creates the image in the traditional design-bid-build scenario, the aim of the owner can become blurred. Not unlike the age-old game that proved that the more people involved in passing along information, the higher the likelihood the message will become distorted. In a design-build scenario, the owner and design-builder share the objective, and that intent is carried through all the way to completion. Common practice is for designers and architects to define their intent when drawing design specifications. Often misunderstandings arise regarding aspects of the plan’s purpose and definitions. Disagreements between the builder or remodeler can occur regarding materials and difficult-to-execute elements of the design. As a result, this can add cost and time to the finished project. With a design-build system, an initial collaboration between the designer and job foreman eliminates the possibility of misunderstanding. In some cases, the two may be the same person. Misinterpreting or misunderstanding often results in the Blame Game. The loser in this competition is usually the project owner. Additional costs or severe delays in a project can create a three-way contention that can even result in lawsuits. A design-build contractor has no one else to blame for inferior performance, cost overruns, or late delivery. In the contract, the design-build company takes full accountability. In addition, has full responsibility for meeting the terms of the agreement. Design-build companies are involved every step of the process. Meaning all interaction with the owner is consistent. The property owner is aware of the progress at each phase of the entire journey. As well, the design-build company has full knowledge of the owner’s expectations. From the beginning, the owner has an ongoing stake in the progress of the project. A design-build contractor will work with the owner to update latest developments, listen to suggestions, and share the pride in the final project. Working closely with the owner ensures satisfaction with the final project. Combining the two significant steps of a project under one business overhead structure creates overlapping efficiencies and time savings. There is no easy way to quantify the savings. However, reductions in office and utility costs, cross competencies in staff, rent, and profit objectives are bound to be lower. Especially working with a single company compared to two separate ones. 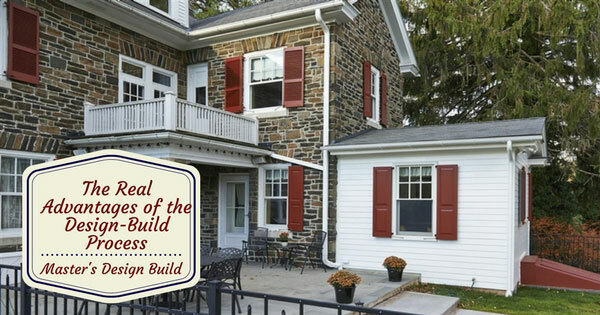 A perfect example of the advantages of the design-build process is the high-end, award-winning remodeling company, Master’s Design Build, in Hatfield PA. Using state-of-the-art design elements, Co-Owners and Chief Designers Brian and Cheryl Martin and their Team work closely with homeowners in Montgomery, Bucks and surrounding counties to bring to new life to the architectural dreams of their clients. For more information regarding Master’s Design Build, visit their website to witness some remarkable transformations resulting from their design-build projects. Phone Master’s Design Build at 215-723-6162.